Step 1. 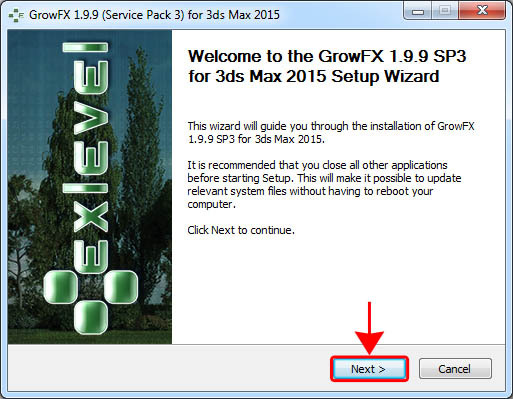 Close 3ds Max if it is running. Step 2. Enter your name and company. Step 3. 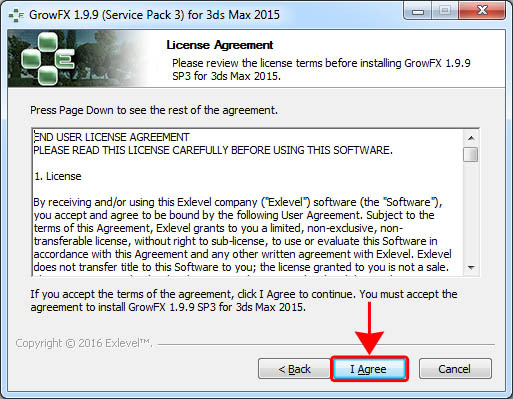 Read and accept the License Agreement. Step 4. 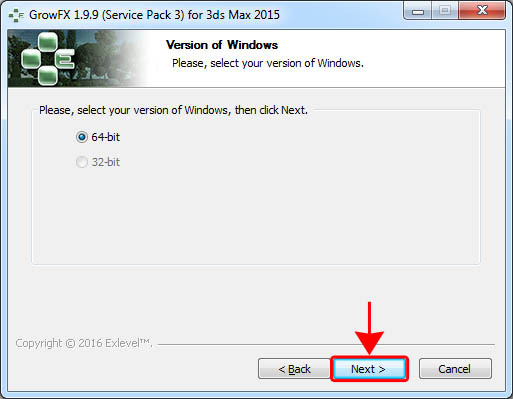 Select the version of your operating system, 64 or 32-bit, if applicable. Step 5. 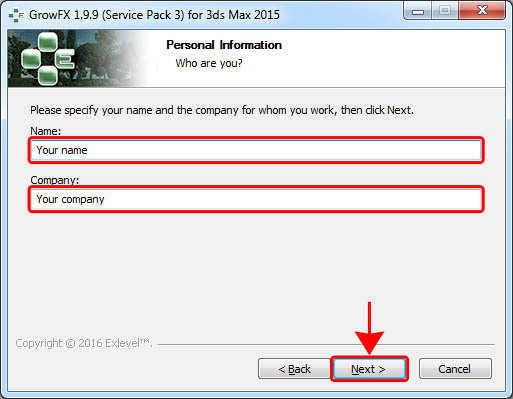 Select the components to install. Default settings are fine. You can simply click Next. Step 6. Select the folder where the plug-in will be installed. You can simply click Next. Step 7. 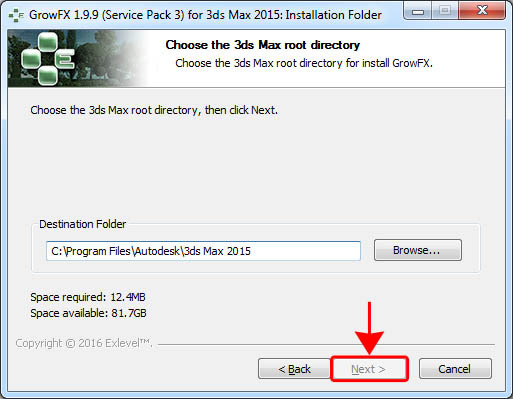 Choose the root directory of 3ds Max. 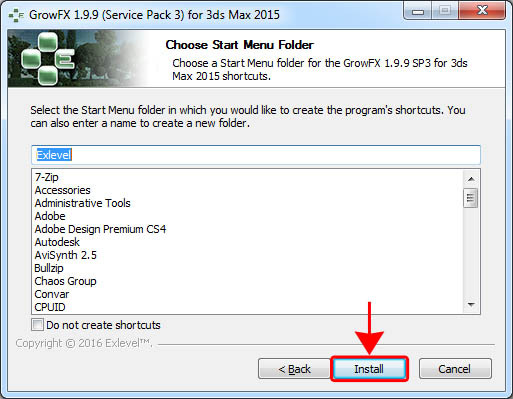 For example, it can be "C:\Program Files\Autodesk\3ds Max (version of 3ds Max)\". Step 8. 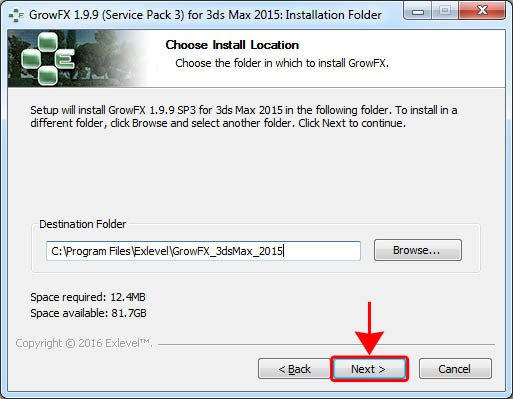 To start the installation, click Install. Step 9. To finish the installation, click Finish. Step 10. 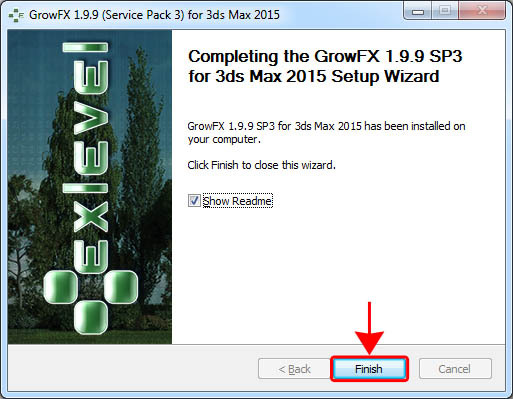 Run 3ds Max. Go to the Create command panel and on the Geometry tab, select Exlevel from the list, then click the button labeled GrowFX. 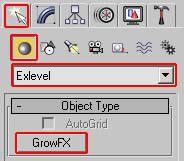 Click in viewport and move the mouse to set the center and size of the GrowFX icon.